Teamwork helps people attain their goals faster as opposed to if they were to go at it alone. This society is a not-for-profit organization that is incorporated in Delaware. The group was formed initially in July, 2000 in London. The society aimed to promote studies in the fields of psychoanalysis and neuroscience. The idea was to work as one, get different ideas from various disciplines that would help understand the area better, thus make strides for the betterment of the society. The society came about as a way to create a platform where clinicians and scientists invested in the study of neuropsychoanalysis could meet. Its purpose was to create an environment where they could hold discussions, share information on their achievements and work as one to achieve new milestones. The society’s activities have positively impacted the organization. Some decades ago, it was thought to be taboo to speak of matters concerning neuroscience and psychoanalysis. As such, many people avoided getting into such fields for fear that they would face adverse reactions from people who did not understand the concepts. The NPSA Society’s growth has enabled people to view their work in a different light over time. The congresses and publications continue to increase both in frequency and public reach. This increase has created attention in budding scientists as well as clinicians who have made strides in the workings of the brain and the mind. As more people undertake such studies early in their scientific careers, the more progress would be made. There are two chairpersons who work to guide the society in the direction to follow. One is Mark Solms who works as a neuropsychologist and a psychoanalyst. The late Jaak Panksepp holds the other position. He was one of the pioneers in the field of affective neuroscience. Katerina Fotopoulou holds the position of secretary. She is a neuroscientist as well as a neuropsychologist, and she works in London at the University College. There is also a liaison officer in Europe who goes by the name Ariane Bazan. She works as a clinical psychologist and psychoanalyst. Her work extends to research and teaching which she does in Belgium. She also edits the Frontiers in Psychoanalysis and Neuropsychoanalysis. Bazan is indeed a jack of all trades as she can juggle these responsibilities with ease. Daniela Flores Mosri represents scientists from the regions of Mexico and South America. She is a psychologist who also teaches in Mexico City. For North American scientists, there is Richard Kessler as a representative. He is also quite the jack of all trades, holding the titles of neuropsychoanalytic teacher, psychoanalyst, and psychiatrist. Richard resides in New York City. 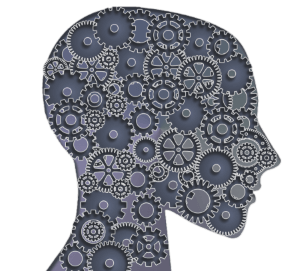 Hundreds of members across the globe work to help realize neuropsychoanalysists’ goals. In every continent, there are at least forty scientists representing the association, except in Antarctica. 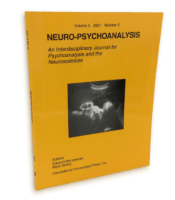 Twice a year, the Neuropsychoanalysis is published, aimed at spreading awareness about their efforts as a society as well as sharing information on what they have discovered along the journey. Members can get copies of this journal through online processes as well as hard copies, which get provided to them at discounted prices. We have already mentioned the annual congress they organize where matters on psychoanalysis and neurosciences are discussed at length. The first congress was held in London back in 2000. It was about Emotion, and its success was so great that they kept organizing these events in the following years. These events have proven to be gems in the sharing of information and staying connected as a society. They have covered various aspects such as dreams, object relations, sexuality, memory, gender and the unconscious amongst others. Over time, more on these topics has been discovered as a result of these forums where scientists are free to express their thoughts. The next congress will be held in August 2018 and will take place in Mexico City. The main topic will be Repression and Defence, and we look forward to hearing what various speakers have to say about this issue.